CKBProducts.com sells wholesale motorcycle leathers at bellow retail prices to the general public with no minimum purchase required. Here you'll find high quality, black leather motorcycle leathers and vests for men and women. 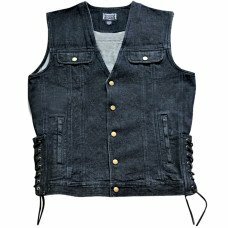 Don't spend lots of money on some high priced retail vests when you can get a durable black leather motorcycle vest from us at a low wholesale price. 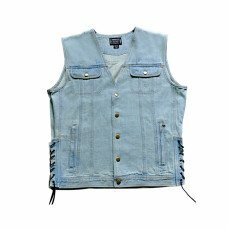 Take a look at our selection and you will see that you can get quality vests at below retail prices. Whether your cruising across town or across country, you will know that you got a great deal on a quality product. Get your next leather motorcycle vest at a price you can afford from CKBProducts.com today. Remember, when you buy from CKB you will ALWAYS save money but when you buy in bulk you can save MORE.